This project lays the foundation for a systematic continuation of the PI’s prior NSF and NASA funded research in e-medicine and multimedia instructional technologies. Using these funding sources, the PI and his team have implemented and assessed e-medicine technologies in developing nations in sub-Saharan Africa as well as in rural Louisiana. Further, they have been funded to develop multimedia instructional technologies to bring real world information technology issues to the classroom. This research and educational program will continue for three years. During the summer and winter breaks of its three year duration; the PI, Dr. Victor Mbarika and Co-PI, Dr. Carlos Thomas, will establish a sustainable educational partnership between Southern University, two Universities in Cameroon--The University of Buea and The University of Yaounde Medical School (a teaching hospital). Southern University’s International Center for Information Technology and Development located in the College of Business, under the direction of Dr. Victor Mbarika has been awarded the Fulbright Award to provide the institution with eHealth courses in available to undergraduate and graduate classes. These classes will be in the College of Business’s Information Technology program as well as the Nelson Mandela School of Public Policy’s doctoral research program to help students understand the evolution of health, its policies and the technological outlook of it. 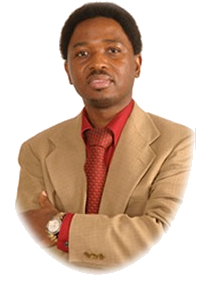 The National Science Foundation (NSF) recently informed Dr. Victor Wacham Mbarika of the selection of his proposal for funding by NSF in the amount of $500,000 over a five-year period. "CAREER: Information Technology Transfer to Developing Countries: An E-Medicine Model for Sub-Saharan Africa". Southern University is the lead institution in a consortium of three minority institutions (Southern University – Baton Rouge, Southern University – New Orleans, Winston-Salem State University), NASA, and an industrial partner (Apple Computers) to apply supercomuting instructional technologies to the training of higher-order cognitive skills. Relevance to NASA. NASA flight crews must continually make high level cognitive decisions. Dornheim (2000) has documented that decision errors are second only to procedural errors as the direct cause of flight-crew involved accidents, patterns of differences between good and bad crews, and pilots' perception of risk. Project Goal. To assess the pedagogical effectiveness of multimedia instructional technologies as a means of developing higher-order cognitive skills when delivered through a supercomputer network. Principal Investigator (2011): Louisiana Board of Regents: A Theoretical Investigation of “Low-Tech” Information Technology Use for Healthcare Delivery in Resource-Poor Settings of Rural Louisiana and Sub-Saharan Africa ~ $10,000 (Seed Grant). Principal Investigator (2008): Louisiana Board of Regents. : A Theoretical Model for Electronic Medical Records Adoption in Resource-Poor Settings: The Case of Rural Louisiana ~ $10,000 (Seed Grant). Principal Investigator (2007): NASA/UNCFSP. Using Louisiana’s supercomputer optical network (LONI) to optimize development, delivery and assessment of multimedia instructional technologies: implications for improving higher-order decision-making skills~ $120,000. Principal Investigator (2006): Louisiana Board of Regents. : A multi-metric approach to investigate the impact of multimedia technology on student learning~ $10,000 (Seed Grant). Core Faculty Senior Investigator (2005): National Science Foundation (NSF). Establishing and sustaining faculty networks to bring real-world issues into engineering classrooms, $200,000.